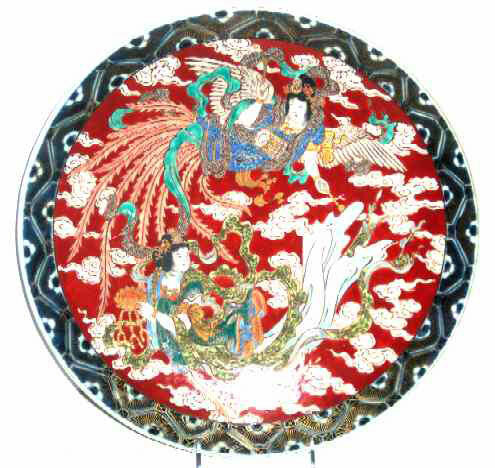 Presented here, a wonderful 15" diameter Japanese Kutani Charger. All colors are underglaze except the gold and the black hair. Condition is excellent.